manage your sponsor packages with ease. The 17th Australian edition of the wonderful event that is Rails Camp. We understand that talking to people is a major part of organizing an event. That's why we take a step back and let you handle the negotiations. We simply try to aid in connecting both interested parties. 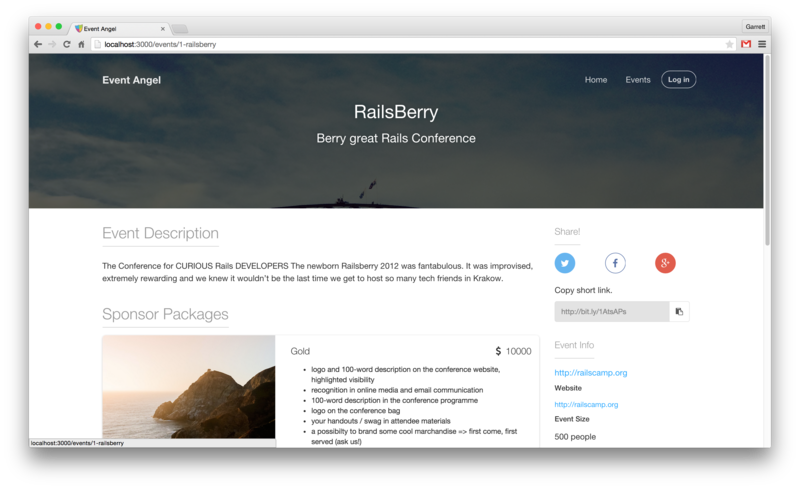 Create your beautiful event details page with your sponsor package information. Send your event page out to potential sponsors. Easily manage the availability of the packages as you find sponsors. Managing any sized event can be stressful. Our system tries to eliminate the headaches associated with sponsorships. Send your potential sponsors to your event details page and at a glance they can easily see the status of the event and the sponsor packages available. 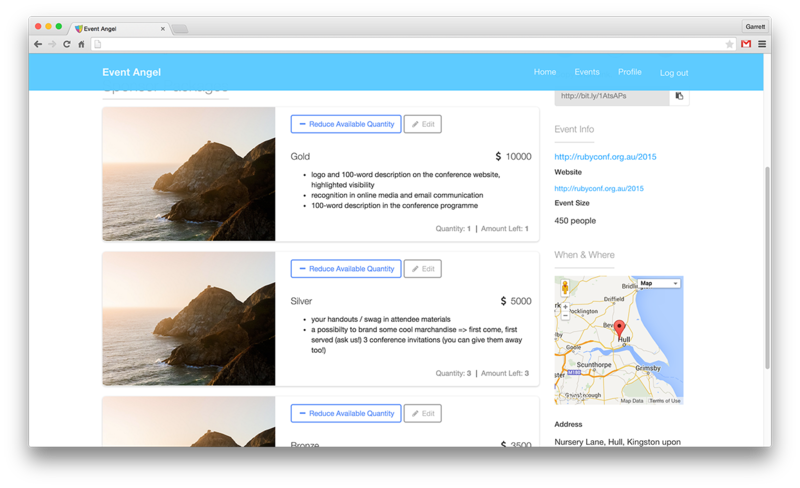 We make it easy to setup the event page and the sponsorship packages. With one click you can adjust the quantity of the packages as you find your sponsors. Events are a lot of work. We take sponsorships seriously and understand they are a vital aspect to running a successful event of any size.